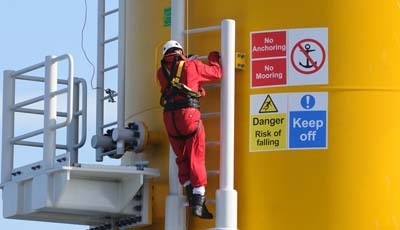 G+ is the global health and safety organisation for the offshore wind industry. The Energy Institute provides the secretariat and supports the ongoing work of the G+. We bring together business leaders, health and safety experts and organisations operating in the offshore wind industry to drive good practice and promote world-class safety performance across the sector. We engage on important industry matters by facilitating discussion and bringing together industry stakeholders to speak with one voice for the offshore wind industry. Senior executives of the G+ member companies have committed resources from their own company teams, and have also met under the auspices of the G+ Board to actively lead the industry in finding solutions to the safety challenges that offshore wind projects face. On 25th November 2015, the UK Health & Safety Executive (HSE) organised an Offshore Wind Leaders' workshop in Bootle, UK. The G+ was given a clear mandate to take on a visible leadership role in driving the improvement of health and safety performance in the offshore wind industry. The G+ 2016 stakeholder presentation demonstrates how the G+ has fulfilled the commitments set at this meeting. Since the Bootle workshop, the G+ has had an aim to develop into more of a global organisation. The G+ is currently in the process of establishing how best to deliver on this commitment.